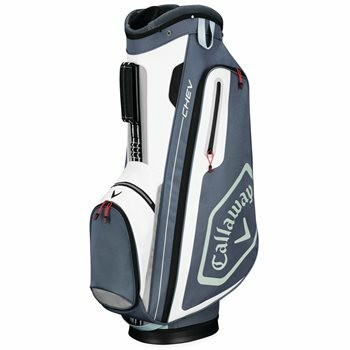 The Chev combines Callaway’s lightest cart bag with a load of features. The 14-way top includes a putter well for easy organization. The 2 full-length apparel pockets allow you to pack some extra layers for any changes in forecasts. The cooler pocket keeps your drinks cold all day long for thirst-quenching refreshment. Water-resistant, Velour-lined valuables pockets are durable and secure for any items you need to zip up. 14-way top with putter well.